An interview with Dr. Chamath Fernando, Lecturer, Department of Family Medicine, Faculty of Medical Sciences, University of Sri Jayewardenepura. The World Health Organization (WHO) has identified 21 young members from over 2000 applicants from around the world to raise a voice for the youth and advocate for the development of Primary Health Care (PHC). This team included a diverse group of young professionals including general practitioners, primary care nurses, researchers, health economists, academics, policy makers and so on. Dr. Chamath Fernando, a Family Doctor and a Lecturer in Family Medicine employed by the Department of Family Medicine, Faculty of Medical Sciences, University of Sri Jayewardenepura has been appointed by WHO to the PHC Young Leaders Network (YLN). He also acts as the coordinator for the National Centre for Primary Care and Allergy Research at the University. 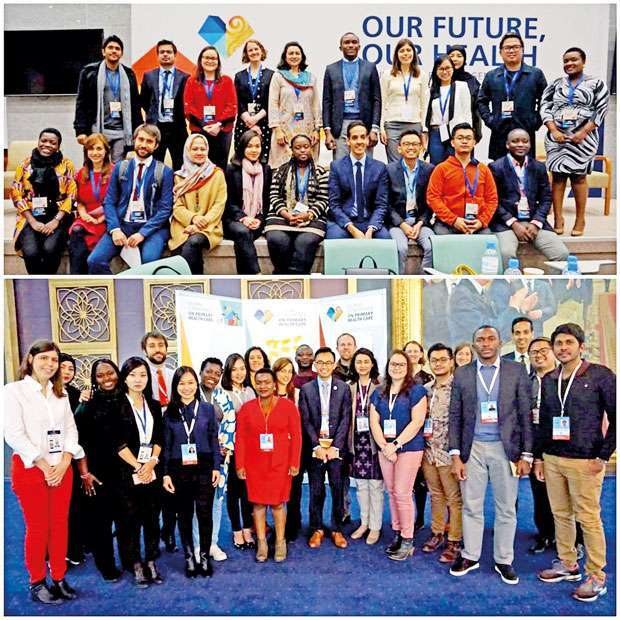 Having brought an immense honour to our tiny island representing Sri Lanka as a youth member at the Global Conference on Primary Health Care held in Astana, Kazakhstan in October 2018, Dr. Chamath explains to Daily Mirror this major leap. The WHO in 1978, came into a pact with all its member states in an aim for equitable healthcare access for the entire world population through “Alma Ata Declaration” in the former capital of Kazakhstan, Almaty. The declaration was based on PHC and its salience in attaining Universal Health Coverage (UHC). Whilst recognizing UHC to be a fundamental human right: “UHC means that all people and communities can use the promotive, preventive, curative, rehabilitative and palliative health services they need, of sufficient quality to be effective, while also ensuring that the use of these services does not expose the user to financial hardship” (WHO). However, during the past four decades the achievement of the said goals in line with the health related Sustainable Development Goals (SDG) have been patchy and has not reached the expectations across the globe as of today. “At the Global Conference on PHC which was held in October 2018 in Astana, WHO formulated the Astana Declaration, marking the 40th anniversary of Alma Ata Declaration. Certain barriers that led to unsatisfactory achievements made in UHC were identified and has attempted to mould the standards to meet the resources and needs of the current socio-techno-political milieu,” says Dr. Fernando. He further mentioned that, in addition to the promotive, preventive, curative and rehabilitative aspects of healthcare that the Alma Ata Declaration looked at, the Astana Declaration has included ‘Palliative Care’ as a priority area. Considering the advancements made in medical technologies that makes diagnoses and treatment much early and farther efficacious, the numbers of people surviving otherwise lethal diseases into old age, hence needing palliative care are on the rise. Another aspect of the Astana Declaration was the potential inputs of digital technologies and how they can be utilized to deliver specialty expertise in the distance mode to populations living in the peripheries with abundant health resources. The significance of the input from Primary Care physicians and teams has been acknowledged in the document and Electronic Health Records (EHR) have been increasingly encouraged for primary care providers to maintain and to use in turn in the referral and back-referral processes; an area on which YLN has a specific interest. The most highlighted motive here is to create an operational framework for PHC: transforming vision into action. The WHO carried out Country Case Studies involving 18 countries from around the world that set examples for other nations to develop their framework on. Healthcare professionals of Sri Lanka deserve an applause that the “Community-based workforce development for maternal and child health” of our country has been presented as one of these 18 case studies. Primary Health Care Systems (PRIMASYS) is also another publication that disseminated the success stories of different countries. 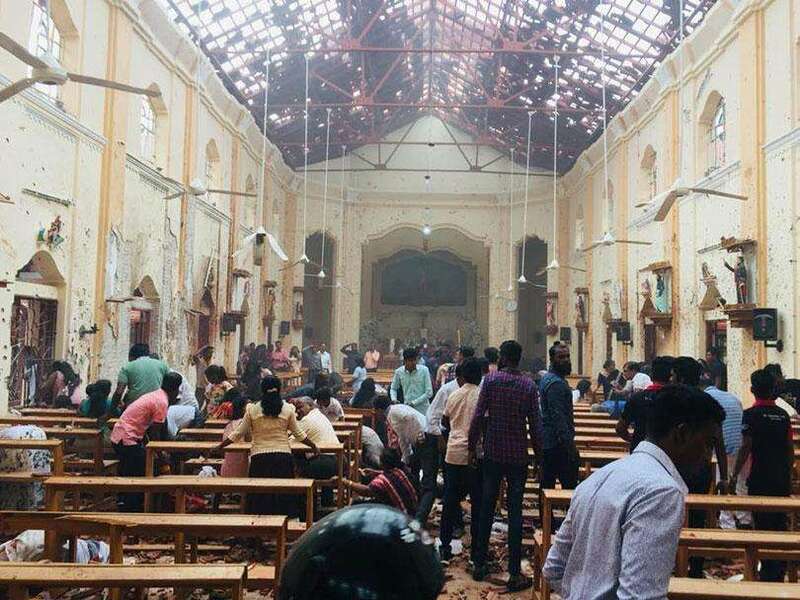 Dr. Chamath Fernando also contributed to the development of the Sri Lankan version of this publication in 2016-2017 period in liaison of Emeritus Professor Antoinette Perera who was the Principal Investigator for the project. The Director General Health Services Dr. Anil Jasingherepresented Sri Lanka at the Global Conference on PHC. It was an honour that Dr. Jasinghe presented in a plenary session on how the Sri Lankan health system successfully combatted certain communicable diseases (principally Malaria) thus achieving elimination locally. Although the quantitative figures demonstrate the best set of health indices in the South Asian region, we lack qualitative studies looking at the quality of care the patients receive and their perspectives in terms of satisfaction. Some parameters that would potentially determine their satisfaction include ease of access to healthcare, costs, holistic solutions to health related problems which are mainly undertaken by a Family Doctor. Sri Lankan Medical Postgraduate Institute produces a multitude of specialists and sub-specialists in varying fields at present. While the successful healthcare systems in the world such as the USA, UK and Australia produces adequate numbers of Family Physicians, Sri Lanka lags behind in this at large where the postgraduate path (13 years in duration) is not encouraging and merely less than 8 Family Physicians being produced per year for a population of 20 million. Better late than never, Astana Declaration highlights that Sri Lanka is to develop key human resources, mainly Family Physicians to deliver primary care and coordinating the patient care at secondary and tertiary levels, thus ensuring UHC at loco-regional levels. The system must be incorporated into the existing public health system of Sri Lanka where all citizens must have access to high-quality healthcare at no cost ideally. The healthcare providers should also be trained on novel approaches to care such as provision of “generalist palliative care” which is increasingly necessary for the global population. “The major paradigm-shift would be to move from ‘disease oriented therapies’ to ‘patient centred care’. A point to ponder is that a Family Doctor is more concerned about the ‘patient who has an illness’ as opposed to the traditional way of looking at the ‘illness a particular patient has,” Dr. Fernando underscored.